A door jamb is the area on a vehicle where the door connects to the body of the car. While most car owners rarely thinking about door jambs when doing regular car cleaning, they provide housing for parts of a car that are essential for the door to open and close properly. That includes things like the hinges, strikers, and guides. Part of a door jamb’s job is to act as a seal between the interior of the car and outside elements. That said, door jambs collect a lot of dirt and grime. Moreover, manufacturers often apply a generous coating of grease to keep the door from squeaking when opened and shut—grease that attracts dirt and grime. Why is a clean door jamb important? Unfortunately, door jambs are an area of the car that’s frequently forgotten by the most conscientious owners during a full car cleaning. However, a dirty, smudged door jamb can cancel out the impact of an otherwise-thorough car cleaning in an instant. A filthy jamb certainly detracts from a car’s overall appearance, especially when the contrast is underscored by the car’s sparkling-clean exterior. In addition, it’s all too easy for that grit and grime to transfer to clothing, causing permanent stains. 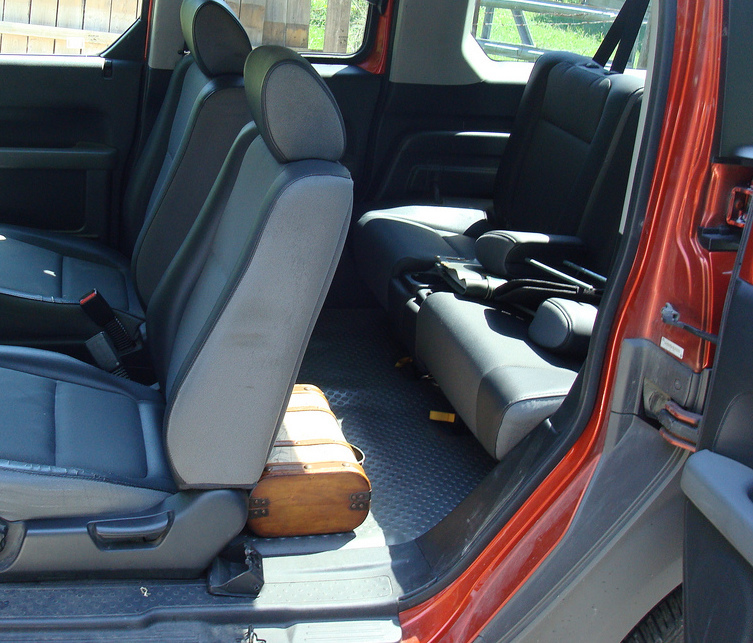 The dirt, grease, and moisture found on door jambs create the perfect breeding ground for rust. And rust is one of a car’s deadliest enemies. Finally, door jambs camouflage areas that have excessive wear and other developing problems, and therefore it’s important they get the attention they need. How do I clean my car’s door jambs? Cleaning door jambs can be done at home — but takes time and effort that could be used for more enjoyable activities. Car owners who want the job done right without the time commitment, the aching back and the throbbing knees can bring their cars to Mr. Clean Car Wash for detailing. Mr. Clean Car Wash wipes clean the door jambs with a full service wash. Mr. Clean Car Wash also offers a full detail service that includes a thorough cleaning and polishing of all door jambs, in addition to a full-service wash, carpet shampoo, an express wax, as well as a seat and interior hard surface cleaning and conditioning. Mr. Clean Car Wash is currently offering a $5 off coupon on any single detailing package—so there’s no reason to let dirty car jambs undermine a car’s value. Stop by a Mr. Clean Car Wash today!